Without a doubt, Entity Framework is a quick and satisfactory way of producing a database-driven web application. As performance becomes more important, it does, however, require some knowledge of the traps that you need to avoid, and of the wrinkles that impact performance. Ben Emmett gives a practical guide. Compared to writing your own SQL to access data, you can become miraculously more productive by using Entity Framework (EF). Unfortunately, several traps that are easy to fall into have given it a reputation for performing poorly; but it doesn’t have to be this way! The performance of Entity Framework may once have been inherently poor but isn’t any more if you know where the landmines are. In this article we’ll look at where these ‘traps’ are hiding, examining how they can be spotted and what you can do about them. We’ll use examples from a simplified school management system. There’s a database with two tables for Schools and their Pupils, and a WinForms app using an EF code-first model of this database to fetch data in a variety of inefficient ways. https://github.com/bcemmett/EntityFrameworkSchoolSystem – setup instructions are included in the readme. By far the biggest performance issues you’re likely to encounter are of course around accessing the database. These few are the most common. At its heart, Entity Framework is a way of exposing .NET objects without actually knowing their values, but then fetching / updating those values from the database behind the scenes when you need them. It’s important to be aware of when EF is going to hit the database – a process called materialization. It would be far more efficient to let SQL Server (which is designed for exactly this kind of operation and may even be able to use indexes if available) do the filtering instead, and transfer a lot less data. This is another common trap caused by misunderstanding when objects will be materialized. In our database, every Pupil belongs to a School, referencing the Schools table using a foreign key on the SchoolId column. Equivalently, in our EF model, the Schools object has a virtual property Pupils. If we look in ANTS at what happens when this code runs, we see a query run once to get a list of schools in New York, but another query is also run 500 times to fetch Pupil information. This happens because by default, EF uses a loading strategy called Lazy Loading, where it doesn’t fetch any data associated with the virtual Pupils property on the School object when the first query is run. If you subsequently try to access data from one of the related Pupil objects, only then will it be retrieved from the database. Most of the time that’s a good idea because otherwise any time you accessed a School object, EF would bring back all related Pupil data regardless of whether it were needed. But in the example above, Entity Framework makes an initial request to retrieve the list of Schools, and then has to make a separate query for each of the 500 Schools returned to fetch the pupil data. This leads to the name “N+1 select problem”, because N plus 1 queries are executed, where N is the number of objects returned by the original query. If you know that you’re definitely going to want the Pupil data, you’d be better doing things differently – especially if you want it for a large number of School objects. This is particularly important if there is high latency between your application and the database server. We can further improve performance by specifically selecting only the columns we need, which I will now describe. By taking a look in ANTS at the query which has been run, we can see that a lot more data than the first and last names (FirstName and LastName) has been retrieved. We’re transferring more data than necessary. This impacts everything from SQL Server I/O and network performance, through to memory usage in our client application. In the example here it’s particularly frustrating because although we just want the small FirstName and LastName strings, the Pupils table includes a large Picture column which is retrieved unnecessarily and never used. By selecting every column (effectively running a “Select * From…” query), we make it almost imÂ­possÂ­ible to index the database usefully. A good indexing strategy involves considering what columns you frequently match against and what columns are returned when searching against them, along with judgements about disk space requirements and the additional performance penalty indexes incur on writing. If you always select all columns, this becomes very difficult. Fortunately we can tell Entity Framework to select only certain specific columns. Another option, if you know there is data that you will never need to access from your application, is to simply remove that property from your model – EF will then happily just select the columns it knows about. You need to be careful, since if you remove a non-NULLable SQL Server column without a default value from your EF model, any attempt to modify data will result in a SqlException. It’s also important to consider that selecting specific objects comes at the expense of code readability, so whether or not you decide to use it is a trade-off between readability and possible performance issues relating to the two problems discussed above. If the unnecessary columns that you’re transferring are only small string columns (like perhaps a telephone number), or very low data volumes, and if returning those columns doesn’t negate use of indexes, then the performance impact will be minor, and it’s worth taking the hit in return for better readability and reduced effort. However, in this example, we’re retrieving a large number of images that we don’t need, and so the optimization is probably worthwhile. Let’s look at what the application’s doing. The query generated takes a long time to run, but looking at it, it seems perfectly reasonable. To understand why a query is slow, you need to look at its execution plan to see how SQL Server decided to execute the query. We can do that inside ANTS by hitting the Plan button. In the query plan, we start by looking for the expensive operations – in this case an Index Scan. What does that mean? A scan operation occurs when SQL Server has to read every page in the index, applying the search condition and outputting only those rows that match the search criteria (in this case, PostalZipCode = ‘90210’). In terms of performance, an Index Scan and a Table Scan are equivalent, and both cause significant IO because SQL Server reads the whole table or index. This is in contrast to an Index Seek operation, where an index is used to navigate directly to those pages that contain precisely the rows in which we are interested. So [Extent1]. [PostalZipCode] was implicitly converted to NVARCHAR(20). If we look back at the complete query which was run we can see why. Entity Framework has declared the variable as NVARCHAR, which seems sensible as strings in .NET are Unicode, and NVARCHAR is the SQL Server type which can represent Unicode strings. But looking at the Pupils table we can see that the PostalZipCode column is VARCHAR(20). Why is this a problem? Unfortunately, VARCHAR has a lower Data Type Precedence than NVARCHAR. That means that converting the wide NVARCHAR data type to the narrower VARCHAR can’t be done implicitly because it could result in data loss (as NVARCHAR can represent characters which VARCHAR can’t). So to compare the @p__linq_0 NVARCHAR parameter to the VARCHAR column in the table, SQL Server must convert every row in the index from VARCHAR to NVARCHAR. Thus it is having to scan the entire index. Once you’ve tracked this down, it’s easy to fix. You just need to edit the model to explicitly tell Entity Framework to use VARCHAR, using column annotation. After making this trivial change, the parameter will be sent to SQL Server as VARCHAR, so the data type will match the column in the Pupils table, and an Index Seek operator can be used. Generally, these data type mismatches don’t happen if EF creates the database for you and is the only tool to modify its schema. Nevertheless, as soon as someone manually edits either the database or the EF model, the problem can arise. Also, if you build a database externally from EF (such as in SSMS), and then generate an EF model of that database using the Reverse Engineer Code First capability in EF power tools, then it doesn’t apply the column annotation. These days almost all languages use Unicode to represent string objects. To lessen the likelihood of this kind of issue (not to mention other bugs!) I’d always advocate for just using NVARCHAR / NCHAR in the database. You pay a very small extra cost in disk space, but that will probably pay for itself in the very first avoided bug. Naturally the internet has plenty of argument healthy debate on this topic. Actually not so easy. We can see that the generated query has taken a while to run. Luckily this is a fairly easy issue to track down. Because there’s a long-running query, we’ll want to take a look at the execution plan to understand why that query ran slowly. We can see that the most expensive operation is the Table Scan. This means that SQL Server is having to look at every row in the table, and it’s typical to see that take a long time. The good news is this can be easily improved. If you’re relying on EF migrations to manage your database schema, you can add a multi-column [Index] attribute which includes the City, FirstName, and LastName properties of the Pupil class. This tells EF that an extra index is needed and when you run an EF migration it will add it to your database. Alternatively if you are handling your own database migrations, as described in this article for example, then you can add a covering index that includes the City column (ANTS will give you the script to create this index if you click on the warning). You’ll need to give it a few minutes to build, but after that if you rerun the query, it should be nice and fast. No change exists in isolation though, and maintaining that index has a cost associated with it. Every time that the Pupils table is updated, SQL Server will have to do some extra work to keep the index up to date (not to mention the additional disk space requirements). If you have a table which is primarily used for inserts (an auditing log for example) and which only has occasional ad-hoc queries run against it, it may be preferable to have no indexes in order to gain improved write performance. This is arguably not an Entity Framework issue, but a general reminder to consider indexing as part of application design (see this article for a general introduction to SQL indexes). It’s one of those trade-offs that you have to make carefully, considering the performance implications for other code or applications sharing the database, and ideally testing to make sure there isn’t unreasonable degradation. For any LINQ statement, a single SQL query is generated, and everything is handled by SQL Server. This query itself looks pretty messy, but since that’s hidden from you, why should it matter? After all, the query runs quickly. When SQL Server runs a query, it uses the values of the provided parameters along with stored statistics about your data to help estimate an efficient execution plan. These statistics include information about the uniqueness and distribution of the data. Because generating the plan has a cost, SQL Server also caches this execution plan so it doesn’t have to be created again – if you run an identical query in the future (even with different parameter values), the plan will be reused. The problem caused by caching the plan for these sorts of generic statements is that Entity Framework will then run an identical query, but with different parameter values. If the query is too generic, a plan which was a good fit for one set of parameter values (when searching against FirstName) may be a poor choice for a different type of search. For example if all pupils live in either New York or Boston, the city column will have very low selectivity and a plan originally generated for pupils with a far more selective LastName may be a poor choice. If the first time we run this query, we’re looking for pupils in Boston, then a plan will be generated which may be horribly inefficient for the remaining 99% of pupils (i.e. the remaining 99% of times the query runs). An alternative is to make SQL Server recompile the plans each time. This will add a few milliseconds more CPU on each execution, which would likely only be a problem if the query is one that runs very frequently, or the server is CPU-limited already. Note that this interception is enabled globally, not for the specific instance of the context, so you probably want to disable it again so that other queries aren’t affected. If you really need to remove a bad existing plan from cache, you can get the plan_handle for the plan by querying the sys.dm_exec_cached_plans Dynamic Management Object (covered shortly) and then manually remove just that particular plan from the cache, using: DBCC FREEPROCCACHE (<insert plan_handle here>). In spite of the previous example, the reuse of execution plans is almost always a good thing because it avoids the need to regenerate a plan each time a query is run. In order for a plan to be reused, the statement text must be identical, which as we just saw, is the case for parameterized queries. So far we’ve seen that Entity Framework usually generates parameterized queries when we include values through variables, but there is a case when this doesn’t happen – when we use .Skip() or .Take(). Looking at the executed query we see that the ResultsPerPage (100) and Page (417*100) integers are part of the query text, not parameters. Next time we run this query for, say, page 567, a very slightly different query will be run with a different number, but it will be different enough that SQL Server won’t reuse the execution plan. We can look at everything in the plan cache by running the following query (it may help to first empty the cache by running DBCC FREEPROCCACHE). Inspecting the cache after each execution, we’ll see a new entry each time. This is bad for several reasons. Firstly it causes an immediate performance hit because Entity Framework has to generate a new query each time, and SQL Server has to generate a new execution plan. Secondly, it significantly increases the memory used both by Entity Framework, which caches all the extra queries, and in SQL Server, which caches the plans even though they are unlikely to be reused. Even worse, if the plan cache becomes large enough SQL Server will remove some plans, and it’s possible that as well as removing these unneeded ones it will also remove unrelated plans, such as the plan for a business-critical reporting query, causing a problem elsewhere. There are two things you can do about this. 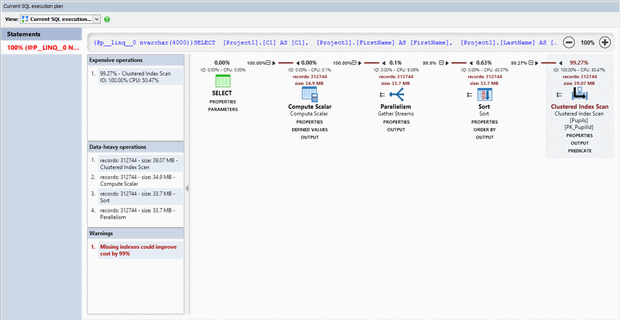 Firstly, it’s useful to enable a SQL Server setting called ‘optimize for ad-hoc workloads ‘ . This makes SQL Server less aggressive at caching plans, and is generally a good thing to enable, but it doesn’t address the underlying issue. Upon rerunning this, we see the results are parameterized, resolving the issue. When modifying data in SQL Server, Entity Framework will run separate INSERT statements for every row being added. The performance consequences of this are not good if you need to insert a lot of data! You can use a NuGet package, EF.BulkInsert, which batches up Insert statements instead, in much the way that the SqlBulkCopy class does. This approach is also supported out of the box in Entity Framework 7 (released Q1 2016). If there’s a lot of latency between the application and the database, this problem will be more pronounced. Sometimes the way we access data causes the client application to do extra work without the database itself being affected. Unfortunately this takes a long time, and in ANTS’ timeline we can see high CPU usage during this period. It would have been tempting to assume that the 2,000 insert SQL statements are the problem, but this isn’t the case. In the line-level timing information, we can see that almost all of the time (over 34 seconds in total) was spent in adding Pupils to our context, but that the process of actually writing changes out to the database took a little over 1 second (of which only 379ms was spent in running the queries). All the time is spent in System code, and if we change the filtering to see where, it’s mostly spent in children of a method called DetectChanges() which is part of the Data.Entity.Core namespace. This method runs 2,000 times, the same number of times as the records we’re trying to add to the database. So the time is all being spent tracking changes. Entity Framework will do this by default any time that you add or modify entities, so as you modify more entities, things get slower. In fact the change detection algorithm’s performance degrades exponentially with the number of tracked objects, and hence adding 4,000 new records would be significantly more than twice as slow as adding the 2,000 records as above. It’s essential that you re-enable change-tracking afterwards, or you’ll start seeing unexpected behavior, so it usually makes sense to do this in a finally block in case there’s an exception adding the entities. Rerunning with that change in place, we can see that saving changes to the database still takes a little over a second, but the time spent adding the entities to the context has been reduced from 34 seconds down to 85 ms – a 400x speed boost! When you retrieve entities from the database, it’s possible that you will modify those objects and expect to be able to write them back to the database. Because Entity Framework doesn’t know your intentions, it has to assume that you will make modifications, so must set these objects up to track any changes you make. That adds extra overhead, and also significantly increases memory requirements. This is particularly problematic when retrieving larger data sets. The importance of startup time varies by application. For a web application which is expected to run for long periods, fast startup is typically not very important, especially if it’s part of a load-balanced environment. On the other hand if a user had to wait two minutes to load a desktop application it wouldn’t look great. There’s another consideration too: as a developer a slow-starting application becomes tedious, waiting a long time after every debugging iteration. Fortunately there are some things we can do to get EF starting up quickly. Ordinarily, when EF is first used, it must generate views which are used to work out what queries to run. This work is only done once per app domain, but it can certainly be time consuming. Fortunately there’s no reason this has to be done at runtime – instead you can use precompiled views to save this work. The easiest way to do this is with the Entity Framework Power Tools VS extension. When you have this installed, right click on your context file, then from the Entity Framework menu, choose Generate Views. A new file will be added to your project. Of course there’s a catch: this precompiled view is specific to your context, and if you change anything you’ll need to regenerate the precompiled view – if you don’t, you’ll just get an exception when you try to use EF and nothing will work. But this one is well worth doing, particularly for more complex models. Note: for an in-depth article on precompiling views, including a way to precompile in code, then see this article. 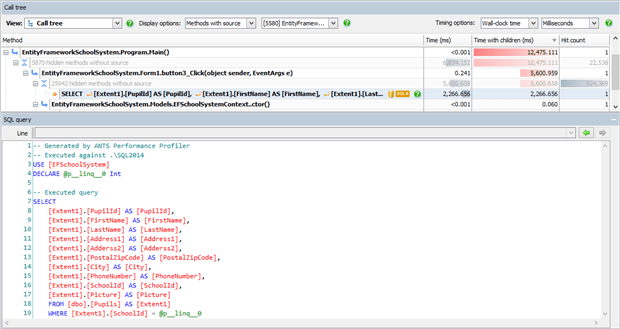 There is also a useful NuGet package called EFInteractiveViews that you might like to look at. Even if you precompile views, Entity Framework still has to do work when a context is first initialized, and that work is proportional to the number of entities in your model. For just a handful of tables it’s not a lot to worry about. However, a common way of working with EF is to automatically generate a context from a pre-existing database, and to simply import all objects. At the time this feels prudent as it maximizes your ability to work with the database. Since even fairly modest databases can contain hundreds of objects, the performance implications quickly get out of control, and startup times can range in the minutes. It’s worth considering whether your context actually needs to know about the entire schema, and if not, to remove those objects. Most assemblies in the .NET Framework come NGen‘d for you automatically – meaning that native code has been pre-JITted. As of Entity Framework 6, the EF assembly isn’t part of this, so it has to be JITted on startup. On slower machines this can take several seconds and will probably take at least a couple of seconds even on a decent machine. Note that you have to separately NGen the 32 and 64 bit versions, and that as well as NGenning EntityFramework.dll it’s also worth NGenning EntityFramework.SqlServer.dll. 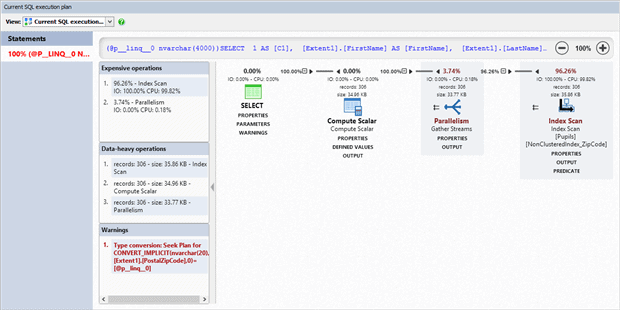 Note: For an in-depth view of using NGen with EF see this article. We start to get into small gains at this point, but on startup EF can run several queries against the database. 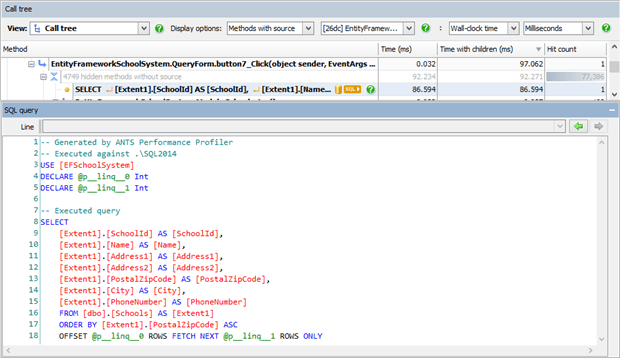 By way of example, it starts with a query to find the SQL Server edition which might take a few tens of milliseconds. Assuming we already know what SQL Server edition we’re running against, it’s not too hard to override this. We just need to create a class which inherits from IManifestTokenResolver with a method ResolveManifestToken(), which returns our known SQL Server edition. We then create a class which inherits from DbConfiguration, and in its constructor, set the ManifestTokenResolver to our custom class. There are various other queries which will also be run if you’re using Migrations, many of which can be eliminated. I won’t go into the details as these typically aren’t very important but you might check them out if every millisecond counts in your application. 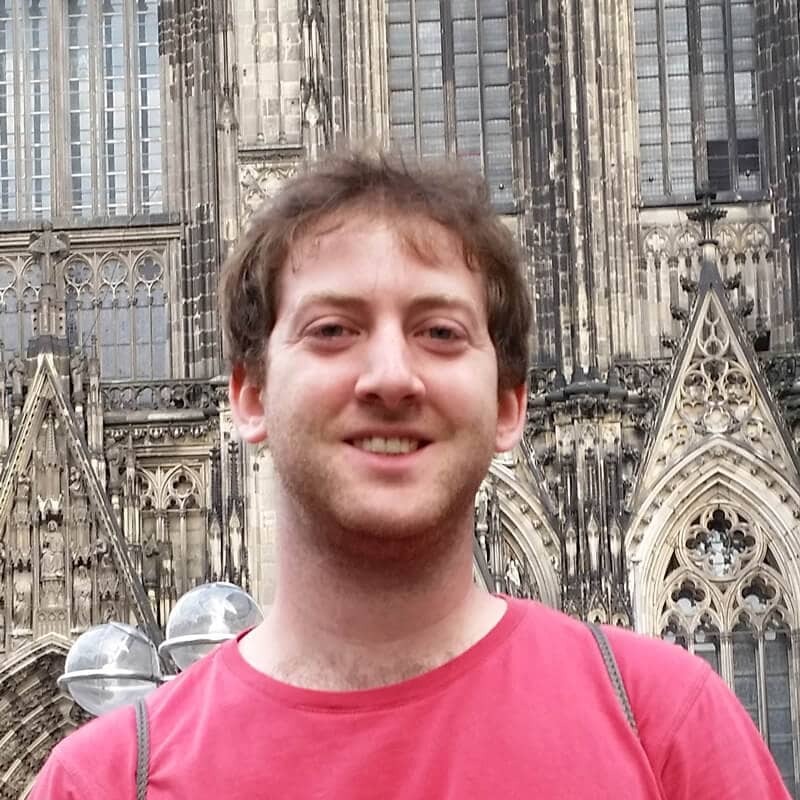 Note: I recommend looking at the article ‘Reducing Code First Database Chatter‘ written by the EF Program Manager, Rowan Miller. It’s essential to dispose contexts once you’re done with them. It’s best to do this by only creating contexts in a “using” block, but if there are good reasons, you can manually call Dispose() on the context instead when you’re done with it. If contexts aren’t disposed they cause performance-damaging work for the Garbage Collector, and can also hog database connections which can eventually lead to problems opening new connections to SQL Server. This one isn’t to be taken lightly, because in all but the most trivial cases, getting caching right can be hugely difficult without introducing edge case bugs. That said, the performance gains can be tremendous, so when you’re in a tight spot it’s always worth considering whether you actually need to hit the database. Support for C#5 Async in Entity Framework 6 is great – all relevant methods which will result in hitting the database have Async equivalents, like ToListAsync, CountAsync, FirstAsync, SaveChangesAsync, etc. For an application only dealing with one request at a time, using Async isn’t going to affect performance much (and could even make it slightly worse! ), but for (eg) web applications trying to support lots of concurrent load, Async can dramatically improve scalability by ensuring that resources are returned to the ThreadPool while queries are running. For desktop apps, it’s also a really intuitive way to make sure that database access is done off the UI thread. Note: For an in-depth view of async/await, including example of using Entity Framework async commands, see this article. It’s easy to get behind on versions of libraries, but the Entity Framework team has focused hard on improving performance, so you could see big benefits simply by upgrading. Make sure you’re not missing out! In most data access scenarios performance will degrade with the volume of data, and in some cases time taken can even rise exponentially with data volumes. Therefore when performance testing, it’s important to use data which is representative of a live environment. There’s nothing worse than things working fine in a simple dev environment, and breaking in production. 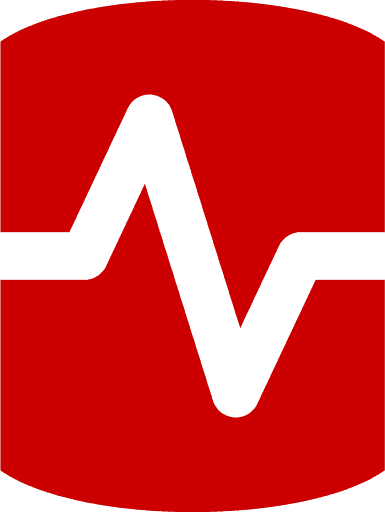 To generate test data for these scenarios I used Redgate’s SQL Data Generator because it makes it fast and easy, but you might be able to just use a backup of production or create data using another technique. The important thing is ensuring you aren’t testing with 20 rows and expecting it to scale happily to a million on deployment day! Entity Framework is optimized for accessing relatively small amounts of entity-key-like data, but isn’t usually a great choice for complex reporting or BI applications. There may also be times when you need to fall back to stored procedures (which can be run by Entity Framework), or even different technologies entirely. Teams often run into performance difficulties with Entity Framework, particularly when starting out. Some will even consider abandoning the technology entirely, often after relatively little time trying to get it to work well. It’s worth persisting! 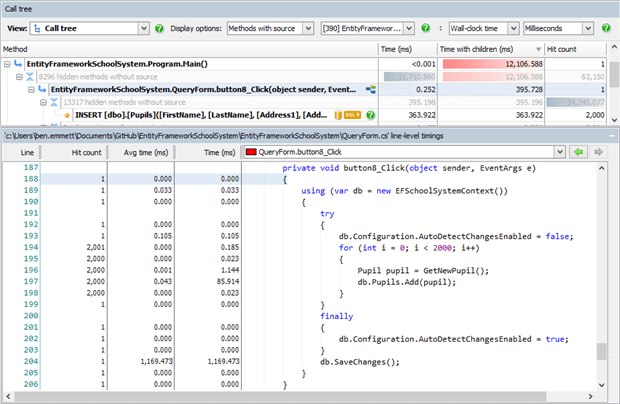 Start with a performance profiler that lets you understand both what your application code is doing, and what database queries it runs. Next, combine what it shows you with an understanding of the problems we’ve discussed to identify areas for improvement. Remember that many of these suggestions have their own downsides, so be confident you’re actually suffering from the issue before implementing the change – and of course, you may have no issues at all! When you’re ready, you can download a free trial of ANTS Performance Profiler. Disposing the dbcontext is not needed. @pirimoglu Thanks for that link – it’s an interesting read! Even if there are times where it turns out not to be necessary, I’d still always recommend calling Dispose() regardless. The main reason is if something implements IDisposable, I take that as an instruction from the author that calling Dispose() when you’re finished is the right thing to do – and in this case it’s the EF team’s recommended usage, based on every example in their docs. There also isn’t any cost in doing it, and it protects you against the subtleties of when it is / isn’t necessary, as well as against any future change in EF behaviour. Thanks for addressing so many EF-related performance issues. In particular the discussion of order of Linq statements is key (ha ha), developers should be very mindful of how IQueryable works and when queries are actually run. Good to see ANTS screenshots and how queries are actually materialized. I can’t get cold startup time using an on prem database from an Azure Cloud service any better 15 seconds or so for a very small EF database project. Testing all in our local network I get a <2 second cold start time. I have tried all of the tricks you mention and more, any thoughts in this area? Great article and easy to read and understand. 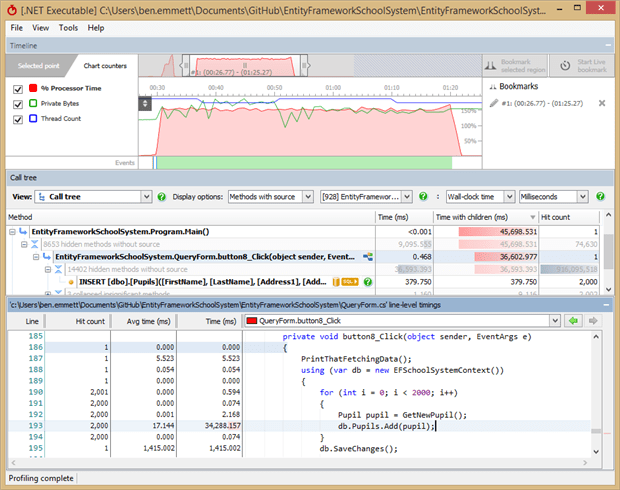 Interesting that ANTS has some great support for tracking EF performance issues – although I should have guessed this! Definitely one of the advantages for using ANTS over VS profiler. One of the biggest gotchas I’ve found using EF is that it implements IEnumerable and overrides some of the IEnumerable LINQ functions, but not all. So if you’re not careful you end up converting it into an IEnumerable and then further LINQ calls (e.g. .Where(…)) are actually performing the filtering in memory rather than at the database level. I guess that’s a fairly low level issue compared to these tricks, though! That is a great article. I really like how you start with the more obvious stuff like bad LINQ statements and then dive into the deeper technical issues such as examining execution plans and SQL server execution plan caching strategies. Great info! You point out the advantages of having some knowledge of how SQL Server processes queries. 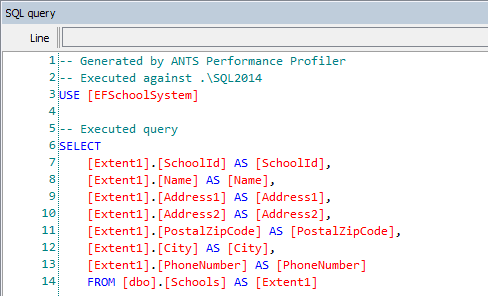 Linq can often hide some pretty crazy SQL code if you are not careful. 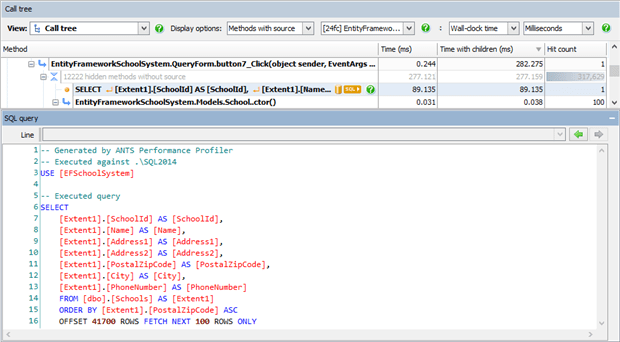 You might also try LINQpad as another great option for viewing the SQL that gets generated. It’s also super handy for modifying and testing various Linq statements. What a great read! I really like the way you divide every problem in clear, understandable parts. "I’d always advocate for just using NVARCHAR / NCHAR in the database. You pay a very small extra cost in disk space…"
It’s not "very small" — it’s doubling the space used for every character stored. Plus, if the column is indexed it halves the number of rows that can fit on a single index page, potentially doubling the I/O needed for a lookup using the index (actually, it may be more than double due the the depth of the b-tree). Ben, thank you for a great article. About the example on the "N+1" issue, you mention the downside of the include statement fetching all pupil rows for the schools. And for a lot of schools with a lot of pupils that can be a big performance setback. I think your statement "We can either select a dynamic object:" is wrong. You should say "We can either select a anonymous object:"
Dynamic and anonymous are different things, the object that is being created is anonymous, not dynamic. Great Article. Explained so clearly and neatly.. Article is great, you have mentioned almost everything, which developer missed during devlelopement. Excellent article, really interesting reading…. Fantastic article. We were considering moving away from EF because of performance. I’m going to propose we take another look at it and see if we’ve made any of the mistakes outlined in this article. FYI, another good place to look at is in stored procedures. If you use temp tables and you’re on azure sql, you’ll burn through your dtu’s fast, resulting in horribly show performance. We found that removing the use of temp tables and avoiding table functions as part of joins gave us a huge boost in performance and as a nice side effect allowed us to drop from a P4 to a P2 saving hundreds of dollars a month. Any updates? did you move from EF? if so, to what? if not, what was your solution? We made the decision to transition away from EF over time, i.e., new features will not use EF, but can use Dapper or ADO.NET. a). We can develop efficient queries in SSMS and measure performance without writing a single line of C# or EF specific code. b). We can take the optimized queries and use them as a stored procedures or as ad-hoc sql in the code (parameterized of course 🙂 ), both of which are simple to do, and in the case of dapper, really quick and easy to map the query results into an object, and just as easy with ADO.NET with bit of extra typing. c). The queries we do in SSMS are reusable in SSRS (or Jasper Reports). EF didn’t give us this. How do you accomplish Lazy Loading with Dapper? You don’t. Lazy loading simply means pulling data when its needed. For example, if I’m displaying a list of things, and no detail is needed, why pull the details in the first place. Right, but in EF, a proxy object is created and used instead, and this Proxy Object implements the Lazy loading code so that it is transparent to the developer. I was wondering if you had done something similar in Dapper. It doesn’t sound like it. Chris, you are correct. We did not do that in Dapper. We do still use EF for simple CRUD operations, but for the more complex reports and heavy lifting we chose to use Dapper to call stored procedures and map return data to objects for subsequent display. This separation of concerns allowed us to quickly tune queries without having to do anything to the C# code, and helped us move from a P4 Azure SQL instance to a P2 with no loss in performance, and of course a nice $1500 or so a month savings in hosting. I suspect we could have used EF to directly call the stored procedure, but it seemed to us to be more convoluted than simply using Dapper. Thanks for continuing this conversation. I’m curious about how you manage your migrations and deployments when you have stored procedures. We’ve discovered that hiding business logic in stored procedures makes the code, at times, hard to understand if you aren’t well acquainted with the stored procedure and don’t know SQL (we have some developers who aren’t SQL fluent). Futhermore, it limits who can make modifications to that logic. I assume you are having to migrate the stored procedures out of band – probably creating update scripts by hand. Perhaps you run those at the end of the Seed method of the Configuration class for your EF migrations? Also, calling stored procedures from EF seems to have essentially the same syntax that Dapper uses from what I’ve seen. I wonder if Dapper beats EF somehow in this scenario? I’d consider the calling of stored procedures, and mapping their result to a DTO to be basically the same in both Dapper and EF, but could be wrong. We use RoundhouseE for DB migrations. It’s pretty good so long as you follow the conventions. We have that baked into Jenkins which handle both the database and code deploys. The dev build/deploy is automatic on checkin (with a slight delay), stage and production builds / deploys are manual. We’re using TFS for code management (although I’d prefer GIT). We’re lucky in that our developers all know SQL, however, I do agree with you on splitting business logic. Stored procedures have one advantage;if something is wrong, we can fast track a fix so long as the interface contract isn’t changing (i.e., parameters in and columns/multiple result sets out). I’ve found Dapper to be faster is on ad-hoc queries, where the query can fine tuned to only return the data of importance. I’ve seen too many arbitrary uses of .Include(“…”) in EF which most times result in more data then needed being returned and thus causing performance issues. This is especially noticeable with Azure SQL where you can burn through your DTU’s really quickly. Avoiding table valued functions and temp table help a lot with reducing DTU consumption. It’s worth to remember that problems can appear when you use eager loading strategy for multiple tables (> 10). We noticed problems that query compilation phase takes 90% of the whole response time what is completely not acceptable and to solve it we started dividing the query into multiple small ones. If you are in the situation that we have, then it’s worth to consider the usage of Entity Framework Plus library. Excellent article Ben. Thanks for taking the time. …then it’ll help you to remember that the view collection is not-updatable. You can also join views to regular entities via the properties and mappings just like you can with regular table-based objects and EF will take care of the underlying joins for you. To avoid ‘Bad Parameter Sniffing’ problem, I used a class that extends from DbCommandInterceptor. It improved the performance of the query. As this interception is enabled globally, not for the specific instance of the context, I enabled it before running the query and disabled it after running the query. When one user is accessing the web application where interceptor is used, then the other users visiting a page (before the interceptor is removed) which in turn calling a Stored Procedure(Imported Function) are getting this error Could not find stored procedure ”.